Following the success of my guide to the best burgers in Newcastle, I decided I should start doing more of these mini food guides (any excuse to eat more delicious food!) and so I've decided to turn my attention to pizza. Newcastle has an abundance of Italian restaurants, and with a pizzeria appearing on almost every street corner in Newcastle, when it comes to grabbing a slice we are overwhelmed with choices. I became inspired after Deliveroo recently shared their guide to the UK's best pizzas and it's got me thinking, where can you find the best pizzas in Newcastle? Here are just a few of my favourite places in the Toon for a pizza date. 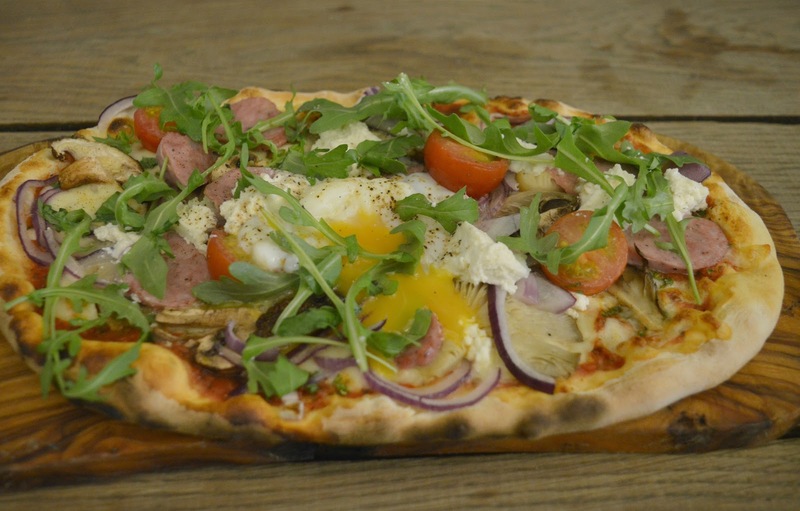 You really can't talk about the best pizza in Newcastle without mentioning Cal's Own! I will admit it's been a while since I visited and shamefully I've not been since they relocated to Jesmond but Simon and I are determined to get there very soon for a date night. 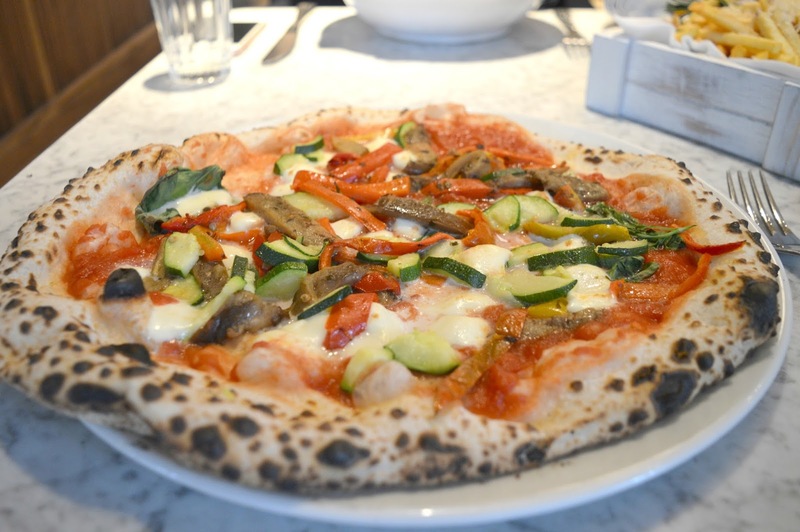 The authentic Neapolitan pizzas cooked in an Italian wood-fired oven are the talk of the Toon. When you're welcomed in from the street by a roller skating horse you know you've come to a great place. Snuggle in the cosy railway arch, dine under a ceiling of beautiful lanterns and fight with your other half about who ordered the best pizza. The toppings are plentiful, the base is thin and crispy and they even serve brunch pizzas. The place that has us queuing in our lunch hour, Pizza by the Slice in Grainger Market is the best place to grab a pizza slice on the go and keeps everyone coming back for more. The pizza is freshly cooked and served on paper plates to give that authentic market experience, well known for being the best and cheapest pizza in Newcastle it's no surprise it's the "go to" place for a quick bite. When I'm not scoffing my way through the Gusto Burger, my other menu obsession at Gusto is the Peking Pizza. 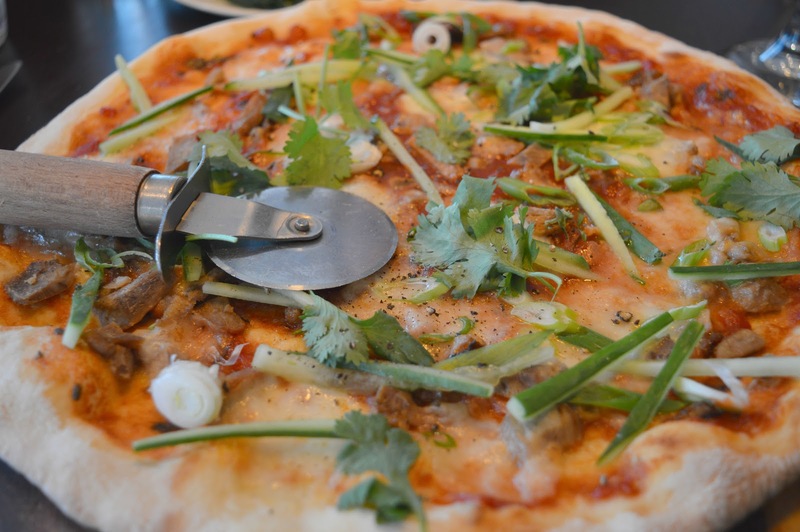 Roasted crispy duck sitting on a hoisin base, it's unlike any other pizza in Newcastle. 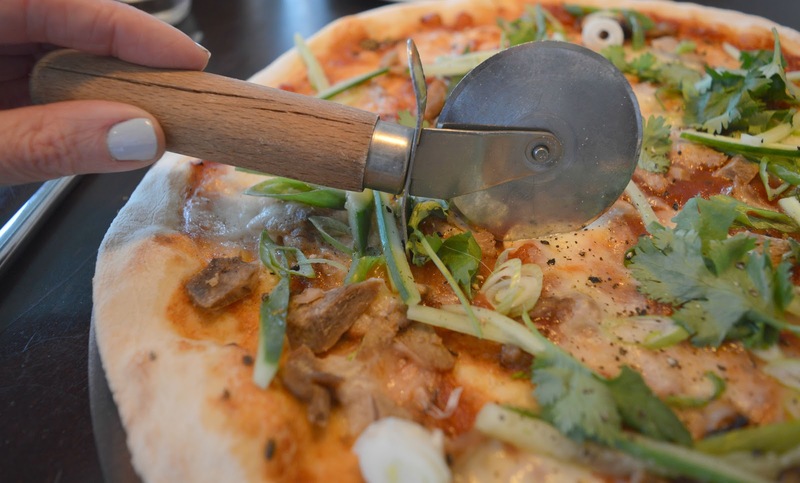 Gusto is my favourite place for a romantic pizza date, but if you tend to dine with the whole family in tow the kids will love the opportunity to play chef and cook their own pizzas! Central Oven and Shaker is a pretty new addition to the Newcastle restaurant scene and has fast become of the best places for pizza . All their pizzas are served on a 12 inch sourdough base with homemade sauce and plenty of toppings. I'm a big supporter of pizzas so huge they fall off your plate and that's exactly what you get at Central. Have I missed out your favourite? Let me know where to find the best pizzas in Newcastle! I know there are loads more places in Newcastle that serve up fantastic pizzas and I'm always happy to discover new treats. For more foodie inspiration check out New Girl in Toon on Instagram and Facebook.